Hey everyone! So I’ve been thinking for a while and I’ve decided to start a little project. I’ve decided to call it the “Behind The OCD” project for one simple reason. You’re all more than your OCD. Our OCD doesn’t have to define who we are. At times it can feel like we are lost behind the shadow of OCD, cloaked in it’s misery and control, but there’s always that true you behind it all. So I’ve decided I want to put a video together about the people behind the OCD and it would be awesome if you could help me out with it! 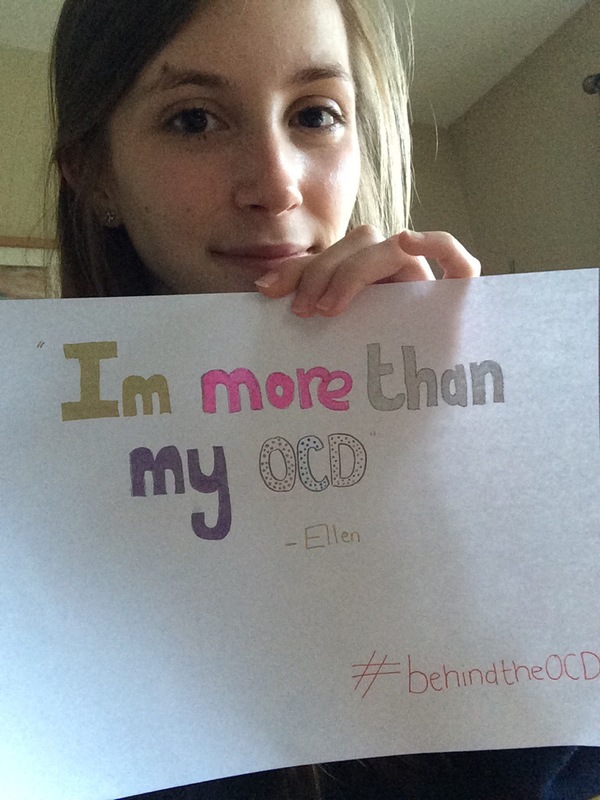 Basically all I’m asking you to do is to send me a photograph of you holding a sign saying “I’m more than my OCD” with your signature underneath and then the #behindtheOCD hashtag in the corner. You don’t have to be in the photo if you’d prefer not to be. Just a picture of the sign by you would be completely fine too, but he more smiling faces the better! If you’re not a sufferer of OCD yourself, you can still participate. Just alter the message on the front to “You’re more than your OCD” and then sign it and put the hashtag in the corner. You can make your sign as colourful, or as plain as you want it! You’re free to design how you like. I haven’t set a date for when these pictures have to be in for, just send them to me via email or twitter. It would be great if you could participate! I’m still thinking of how exactly to put it together and how to format it, but I just wanted to get this out there ASAP. If you have any ideas feel free to share them with me! What a great idea! I’ll definitely help you out! Just give me a day or two. 🙂 Are you following my mew blog? It’s called Obsessive-Compulsive Takes On the World.